Coming out soon on Amazon, the first volume in my continuing science fiction/supernatural thriller series, Bad Seeds. 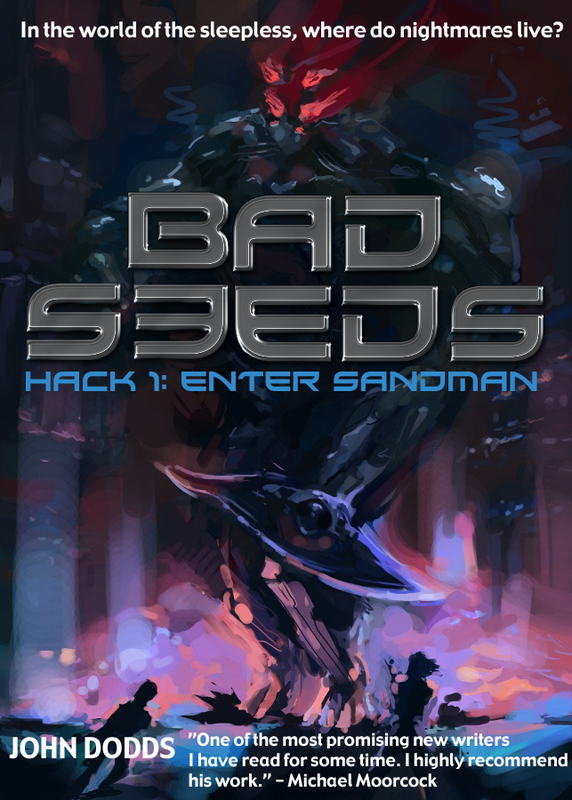 Here’s the opening section of the first novella, Hack 1: Enter Sandman. Each volume will be self-contained but with continuing back stories. Comments welcome, even at this stage. THE DAY I DIED it was sunny and the birds were singing. Typical. I’d been hoping for a minimum of some gloomy stormclouds and a dramatic drumroll of thunder. Not too much to expect since that’s my city’s default weather pattern. Still, once you’ve decided to off yourself you’ve forfeited the right to be choosy. On the upside there was one thing I could be choosy about: my exit strategy. Suicidal or not, I’m no masochist. Pain not being my thing, I had to figure out the best way to shuffle off my mortal coil so that it wouldn’t sting too much. Jumping off a tall building. All of the above have more cons than pros, though. Gunshhot; a chance of not hitting the relevant vital organ straight away. Poison; could take too long and the potential for a futile change of mind. Jumping: like they say, it’s not the fall that kills you but hitting the ground — and the falling would be a little too scary. Blade to the wrists; again, too much thinking time. Hanging — a snapped neck is okay, but slow suffocation isn’t. It took weeks to hit upon the final method. It was a stroke of genius, too. Not that my damned guardian angel thought so.